Campaign Websites – Are they right for you? 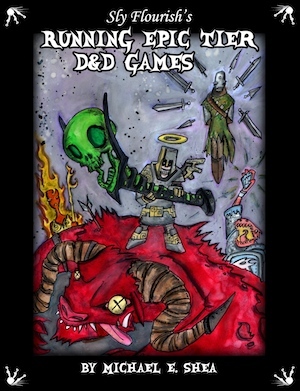 While not new to the gaming scene, Campaign Websites, commonly called Campaign Wikis, are electronic resources used to organize and record the details of your tabletop RPG. These aren’t sites you use to play a game, necessarily, but are used to enhance and inform your tabletop game. This is regardless of whether you play that game on a virtual table or a physical one. Some of these are well known, and have been around for years, while other tools are new to the scene. Back in 2001, we commonly used Yahoo Groups as a searchable forum for posts, with file storage space and other handy utilities for running a campaign. Since then, more and more specialized tools and sites have emerged to assist the player with their campaign. I recall hearing about Obsidian Portal years ago, and thanks to it’s kickstarter success, has kicked off with a new a professional look and added functionality and features. Also out there are sites like Epic Words, and Google Sites, with templates specific to certain types of campaigns. Last year I ran a game off of a Google Sites page (Paizo’s Reign of Winter), with positives and negatives. I’ll get into some of those, but also list some functions that you should be aware exist in these sorts of pages and services, as well as a few pitfalls. GAME JOURNAL – Every Site has a forum or system where posts can be made documenting the history of the game. Not all sites have a system that is easily searchable. Games, especially long running and high level games, tend to have a lot of data. Longer games can have numerous characters and epic stories. Locations, NPC’s, items of note, and other facts can be lost with the passing of time. While summaries are helpful, unless they are easily searchable, they be useless for rebuilding stories or facts related to specific items or individuals. Obsidian Portal allows for these to be listed prominently, with pages capable of being rearranged by the play date. Added functionality includes allowing for only certain players to view certain posts, adding GM notes regarding the session that only the GM can see, and selecting who is notified of updates to the page. Google sites allows for pages and posts to be made freely, but are not as fine tuned as to how these appear, requiring more fiddling to get things to appear as you’d like them to. Obsidian Portal, and perhaps other sites as well, allow linking from one page to another Wiki that can be repeatedly updated. Accordingly, a diligent GM or poster can continue to update either their character or the NPC entry or item entry for a page, linking that data and consolidating the narrative. Embedding of images and other media files is an added feature. 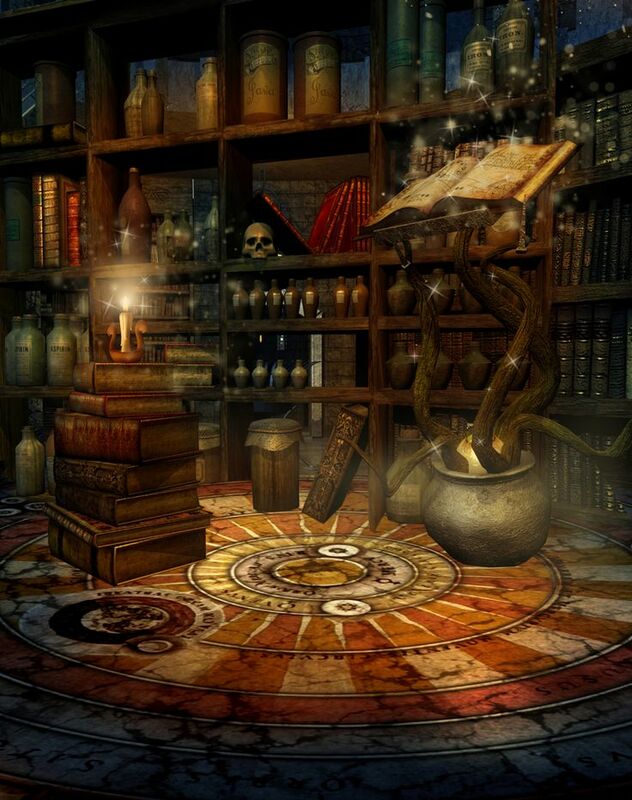 INVENTORY LOG – Inventory management, shared resource tracking, and other minutia can be important for a story, especially if you like that type of a game where the details matter. Shared ability to access those details and perhaps modify them can be important. Google Sites has a nice feature for tracking items, but it can definitely be tedious to enter it all. Obsidian allows a character sheet to be updated, and of course any page could have any listed data you wanted to, but nothing special seems to exist to allow for detailed tracking. Anecdotally, I recall the Lost Caverns of Tsojcanth requiring a trek through icy mountains. An avalanche forced us to lose several mules, and our detail oriented rogue had our survival gear written on individual notecards for each mule. While this level of detail can be irritating to some, the player loved the nitty-gritty and was delighted to have it pan out as relevant and somewhat helpful (as the DM was ready to totally screw us over). CALENDAR – This is really a must-have for many groups, especially mine. I’m not sure if your situation is different, but I don’t know anyone who has a 9 to 5 job Monday through Friday anymore. Accordingly, our weekly game alternates between a group of regulars and a steady group of one shot or two shot players that jump in and out as necessary. A well-kept calendar is a treat. Google Calendar is used by many, though I believe it does require a google account, which pretty much includes everyone anywhere. Obsidian Portal has a calendar as well, and sends emails at the direction of the event lister, with confirmation buttons sent for attendees at intervals directed upon creation. Note that this a pay-only feature for Obsidian Portal users. CHARACTER PAGES – While these are available on all sites, I would say that they are important, but manage to universally be difficult to use. Ideally, a player would track his own character, take a picture of the sheet, and post it to the site, which is theoretically possible with most sites out there. More often, there is an artificial character sheet generator that is not used outside of the page itself, that requires meticulous data entry. Obsidian Portal’s character sheet is fan-created, and is a bit buggy. Save early and save often as you enter data into the odd fields available to you. Google sites uses a spreadsheet, which has its own pros and cons. No less than awkward method of entry really exists. Character pages are important, however. Many times NPC or PC stat’s need to be checked, or a player leaves a sheet behind. It gives the GM a chance to see how players are developing without obviously or surreptitiously looking over character sheets, and gauge challenges accordingly. At its most cynical, it allows transparency that discourages cheating and catches faulty or erroneous builds that might misinterpret or improperly exploit rules. FORUMS – Good in-character and out of character forums are important. This was perhaps Google Site’s biggest failing and not because they didn’t allow the ability to create as many forums as you wanted. The problem commonly encountered here was the ‘most recent post first’ posting style that was, inexplicably, unchangeable. Accordingly, if you wanted to read the flow of events, you had to read from the bottom to the top. While threaded, it seemed that frustration and cross talk was constant, and I could never really get over it. Back in the Living Greyhawk days, a player created a fictional Tavern called “The Goose Nest” located in the Gran March, in which we posted our various living campaign PC’s. The characters were able to interact in a way that could never have consistently happened in face-to-face gaming due to the way we interacted with different folks from different locations, as well as characters being separated by level to such a degree they could never adventure together. The original player occasionally would put a plot device in to facilitate conversation. Of course, out-of-character play is just as important for planning purposes, discussion of facts that might just take too long or be too convoluted to be carried out in character, and also for just sharing information like cat videos and recipes. Logistics, who’s bringing soda, and other critical issues of gaming life need a common forum. IMAGES & MAPS – All systems appear to have a raw upload capacity for images, though an image bank is not exactly what is contemplated by any system. Having access to town an area maps, however, can cut down on a lot of confusion, and images (especially embedded images within, say, an NPC’s character stat block) can really bring together the way a PC or NPC is perceived. Lots of the functions for these three sites are the same. The key difference is one of quality, and as with most discussions of quality, the value is in the eye of the beholder. I will say that Google Sites is free, and so you can’t complain about the amazing value they convey there. They have all the key areas covered, many in a way that you probably already have the systems at work in your day-to-day. The downside there is that the programming, navigation, and functionality can be frustrating and difficult, with weird glitches occurring somewhat regularly. The database is largely very flexible, but all images and information will have to be entered by the user and managed at their peril. I, admittedly, do not have an Epic Words account. My tinkering with it have shown it to be less finished than Obsidian Portal, but at an understandably lower price. From what I’ve seen, the quality of what’s available wouldn’t create a strong urge to forego the free service of Google. Obsidian Portal is pricey. I can swing $40/year, and have done so as an experiment, but that price may make many GM’s eyes water a bit for something they can duplicate or just do without. For those willing to send $4/month, it’s by far the most user friendly. WIth an image bank of backgrounds, ability to change names, headings, colors and images, it doesn’t get much easier. People with the time, knowledge and inclination may find other sites bend to their will easier, but for those who want to get it done, OP is pretty hard to beat. I remain unimpressed with the character sheet options, which is a universal failing for these types of sites, but have enjoyed being able to easily surf the site without multiple glitches or misplacements of my data. As with all things in gaming, it all comes down to time. These sites are handy, but only if you keep them up to date, and only if they are used. 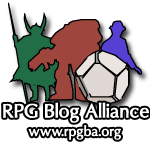 In a longer campaign, players and the GM themselves may wish to access the wiki to see what a certain NPC’s name was, or what the story was in regard to a particular event. But someone has to enter that data, and one would hope that at some point the players or others would read it. Many hands make the work light. In my Reign of Winter campaign, a player took on the inventory management, which was detailed and voluminous. He later undertook a series of published journals, written in character, which was truly magnificent. Eventually, the toll of such work caused him to get behind, then to stop entirely, leaving the final ten entries unfinished. In my current campaign, playing catch-up has eaten up many hours of my time, but occasionally has been worth it for the sheer volume of information management. Some players have been reluctant to participate, but I think those who have appreciate the information that’s posted there, and certainly enjoy the development of plot and story during longer breaks in the campaign where scheduling becomes a problem. It’s something that a GM has to own, and to evaluate whether they have the time (and indeed the need) to follow-up with it. Further, the GM and his players should discuss whether it is in fact desirable or necessary to pursue, either in whole or in part. I, however, think that for longer games, the necessity of such a bookkeeping device is increasingly required to maintain the quality of game I like to play, that being one with numerous rich NPC personages, mysterious items, places, maps, handouts, logs, journal entries, and locales that are best understood when capable of being reviewed at the player’s leisure. All of these are either free, or have a temporary free option. Try one on for size and see if it might not help your next campaign. I love writing new adventures using fonts that make them look like the books I grew up reading. 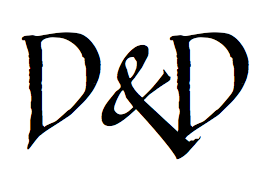 After a little research, I found some free fonts that some of you might enjoy if you write you adventures for RPGs in a word processor. You can also make the next handout for your group look hand-written and flavorful, without learning calligraphy. One of the classic TSR fonts used in countless books from the 80s is Souvenir. Look familiar? Just typing notes in this font has a Pavlovian effect on me; evoking classic images and adventures from books I remember reading growing up. With this font and a two-column format, maybe some art borrowed for home use, and you’ve got an awesome professional looking adventure you can hang on to, and be proud of. 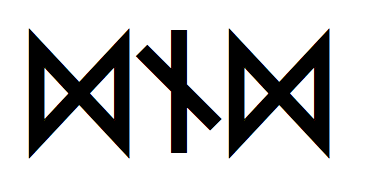 Another technique I’ve used is finding fonts of elven or dwarven runes. I even used dwarven runes in a puzzle involving a dwarven tomb. You can also use the Tolkien elven runes found on the ring of power! One of my favorites is Hobbiton Brushhand. Another great font for “hand-written” notes to hand out to the party is elven common speak. Many DMs just write notes in a spiral notebook or just open up Word and start typing away, and theres nothing wrong with that. Maybe next time you sit down to dream up an adventure for your group, try using some evocative fonts and see if it inspires you. Any awesome fantasy themed fonts I missed? Other TSR or memorable fonts from other gamebooks? Let us know in the comments below.